It’s been chilly in Britain recently. But how much do you really notice the seasons changing? How much do you prepare? You might wear a thicker coat or fire up the central heating. Here in Alaska we ‘winterize’. 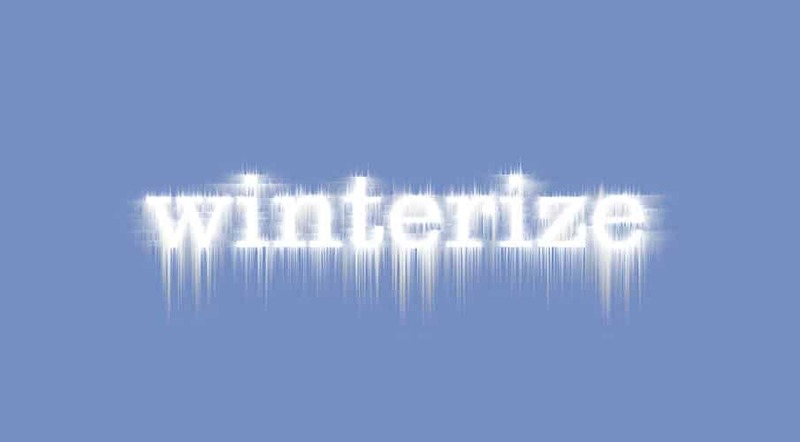 It’s an American word that describes everything you need to do to prepare for winter. We don’t use the word in Britain. That’s probably why trains stop and airports close after the smallest snow flurry. There’s a huge change to the seasons here. We lose daylight at a rate of seven to eight minutes a day at this time of year. The temperatures are already dipping below -45C. Winter means changing transport from boats and all-terrain vehicles to snowmachines and dogsleds. It’s time for moose-hide mukluks and immense down-filled parkas. Our wood stove now has a voracious appetite and is consuming our logs at an alarming rate. Despite that the floor of our cabin makes a very effective fridge. Anything left too close to a wall begins to freeze. Anything left outside rapidly turns to solid ice. Plastic becomes brittle and shatters easily. Metal burns your hands. Batteries and electronics die very quickly. Your nose hairs freeze the minute you step out the door. By the end of October the black waters of the Yukon started flowing with rounded pans of ice. Each day they got bigger and thicker until they completely covered the river. In most places the ice is now five or six feet thick and jumbled into jagged mounds and sharp crags. Most are frosty white, but some gleam jade green and just occasionally a piercing, icy blue. Wintertime also means the start of mushing – standing on the back of a sled hauled by a team of huskies. Hitching up the dogs is a challenge. You have to coral five or six spirited, over-excited, baying huskies into their harnesses whilst they leap, fight, run away, run back and jump up at you. It’s immensely exciting and the dogs love it. But more about the dogs and mushing over the next few weeks. The sky here during the day has its own exclusive palette of pastels – delicate pinks, powder blues, gentle lilacs and hints of orange. You can lose yourself just gazing at the soft, shifting colours. At night the forests are deadly cold and quiet. Nothing stirs. An occasional branch cracks like a gunshot as the sap freezes. And looking up you can see countless stars, the occasional satellite, planets, the Milky Way, shooting stars and, of course, Northern Lights. The other night there was a really spectacular display. It looked like a firework explosion taken by a time-lapse camera. Luminous, ghostly greens tinged with purple slowly unfurled, twisted and pulsated right over our cabin. But it’s not all star-gazing. The work routine needs to change too. We store the computers up high and near the wood stove where it’s warmest. Our generator lives in the cabin with us when we’re not using it. When it’s running we put it in a tiny cabin of its own outside with a lid and a blanket to keep it warm. A special cold-proofed cable carries its output into the cabin. Because even though it’s -45C outside there are still Christmas mailers to be written, customer service letters to be crafted and sales brochures to be typed for clients back home. But sitting here in winterized Alaska, it’s already easy to get into the spirit of Christmas.